Joska Aweko’s life has been indelibly affected by conflict. For two decades, the Lord’s Resistance Army terrorized the people of northern Uganda. Joska and hundreds of thousands of others were forced from their homes and into government-run camps, where disease, hunger and violence were rampant. When the conflict abated, Joska, a mother of eight, was one of the first people with the courage to return to her home village of Amilobo. Some nights, she and her family slept in the bush out of fear that LRA rebels would ransack her home and kidnap her children. But security has returned and Joska has reestablished her farm. With money from cotton, the area’s main cash crop, she has been able to send her children to school and imagine a better future for them. “We are praying that peace will stay here forever,” Joska says. 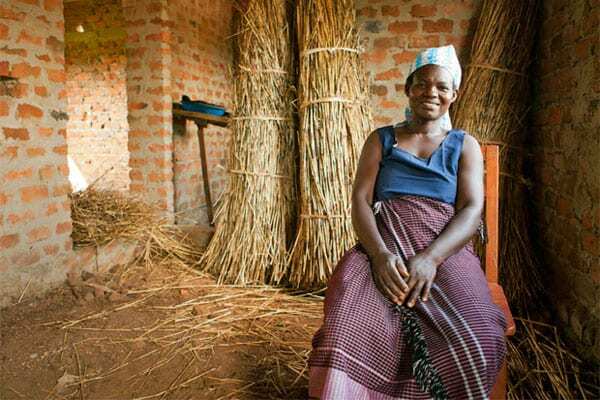 Joska is one of more than 8,500 Ugandan farmers who are rebuilding their livelihoods through the Conservation Cotton Initiative. 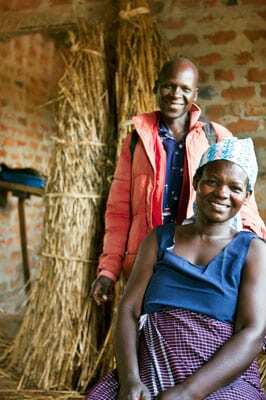 TechnoServe is helping these smallholder farmers to improve their incomes and recover from the destructive conflict. The Conservation Cotton Initiative is supported by Edun, a global fashion company committed to a trading relationship with Africa. Conflict and poverty are inextricably linked. As Paul Collier describes in his book “The Bottom Billion,” conflict is one of the traps that keeps poor countries poor. It’s a vicious cycle – civil war reduces incomes, but poverty also heightens the risk of civil war. On the other hand, economic growth reduces the risk of conflict. TechnoServe has seen this throughout our history, in countries such as Nicaragua and Mozambique. Giving people the opportunity to earn a living is one of the best ways to guarantee a lasting peace. In northern Uganda, the Lord’s Resistance Army denied people this opportunity. Led by Joseph Kony, the rebels carried out an unspeakably brutal campaign, mutilating civilians and abducting thousands of children. 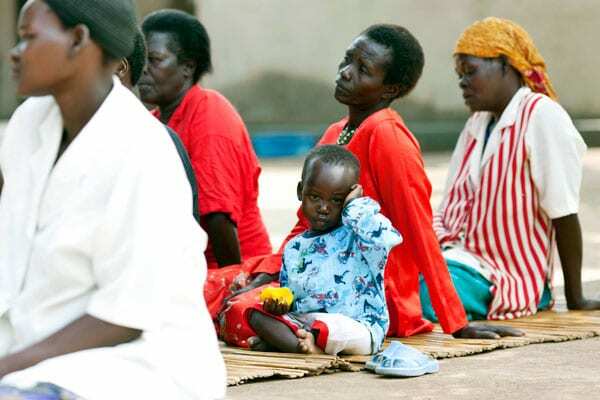 At the height of the conflict, 1.7 million Ugandans lived in government-run camps, where they had no way to make a living and relied on handouts for food. Kony remains at large, and the LRA continues to prey on border regions in neighboring countries. But northern Uganda has enjoyed peace in recent years, and with it, the opportunity to rebuild. People like Joska are gaining the skills that will allow them not just to survive, but to prosper. 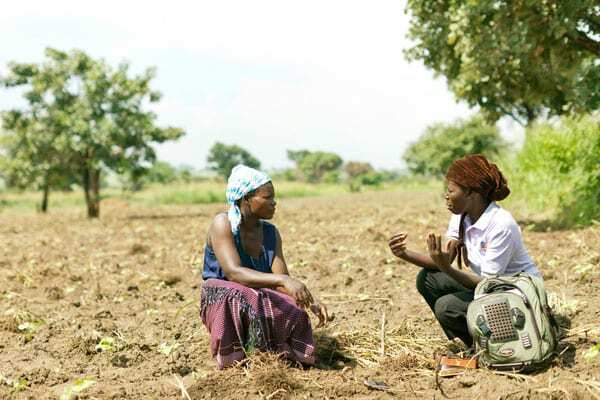 Edun understands that healthy farming communities are vital to Africa’s success. The Conservation Cotton Initiative reflects Edun’s commitment to building long-term, sustainable growth opportunities in the places that need them most. 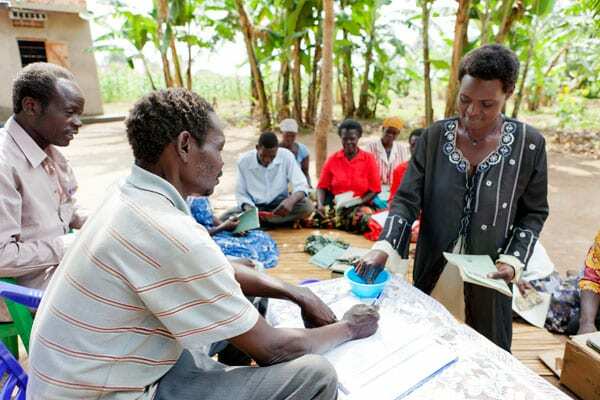 This program aims to help farmers and farmer groups improve their cotton yields and connect to better markets. We are also working with farmers to improve the quantity and quality of staple crops such as corn, beans and groundnuts, giving families greater food security. Joska is a member of the Amilobo Growers Cooperative Society, a 110-member farmer group that formed in 1985 but collapsed during the war. As the members returned to their land from the camps, they re-launched the cooperative to market their cotton collectively. Through the Conservation Cotton Initiative, TechnoServe business advisors are showing members of Amilobo proper farming techniques for cotton and staple crops, such as planting seeds in rows and controlling pests by spraying their crops. We are helping to strengthen the governance of farmer groups and connect them to markets. The members of Amilobo now see farming as a business, not just a means of subsistence. As TechnoServe works to improve farming and business practices, we are partnering with Invisible Children to deliver adult literacy training and helping communities dig boreholes for drinking water. 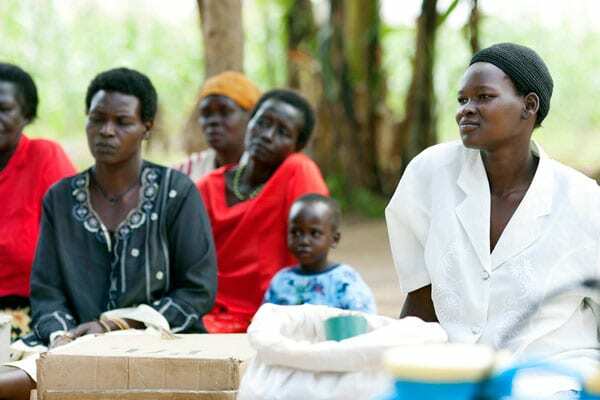 Invisible Children is also working with farmer groups to establish Village Savings and Loan Associations (VSLAs), which allow community members to pool their savings and issue loans. Joska is the chairwoman of the Amilobo VSLA. Before, she says, farmers would keep money in their homes, if they saved any at all. Now they have an incentive to save, and the loans help others meet short-term needs. Meanwhile, Joska and others are increasing the amount of cotton they plant as they see firsthand the benefits of their improved practices. With better productivity, Joska is selling groundnuts and beans in the local market for the first time, giving her family an additional source of income. She and other members of the Amilobo cooperative have learned to work together, sharing information and working to obtain maximum value for their crops. Ten years ago, to walk on the roads of Amilobo was to put your life at risk. Today, children walk these roads to school. Trucks move products to market. Without security and stability, these improvements would not have been possible. The story of Joska and her fellow cotton farmers shows that peace pays.